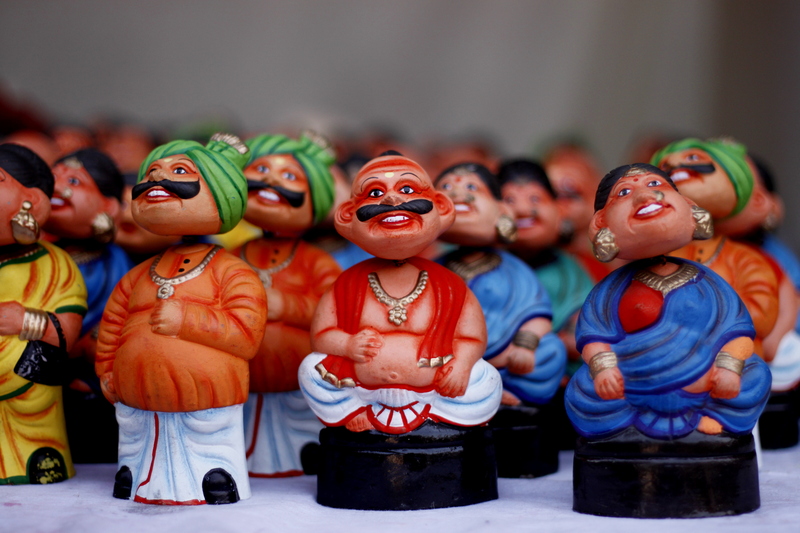 Little Dolls used in Navaratri Golu seen at a shop. Golu is a festival where homes showcase their collection of dolls to visiting guests while filling the guests with sugary fatty sweets. See an example pic here. All of your photos are a treat!